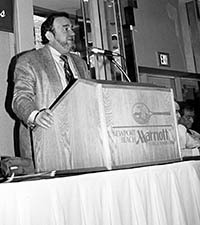 SEMA Hall of Fame - Charles R. Blum, 1997, SEMA. 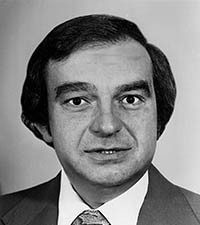 Charles R. Blum, CAE, was appointed president of the Specialty Equipment Market Association (SEMA) in July 1980, where he served 22 years at the helm, until his retirement in 2002. As president and CEO, Chuck was responsible for all operational aspects of the Diamond Bar, Calif.-based specialty automotive trade organization. An industry veteran, Chuck began his automotive career in sales at Keystone Wheels. He rose through the ranks to become vice president of sales and marketing, and distinguished himself by positioning the wheel company as a market leader. Prior to taking over the operations of SEMA, Chuck was an active member, serving on the Board of Directors and also in the elected position of Chairman of the Board. Under his guidance, the association and the industry it serves experienced unprecedented growth, making it the largest automotive trade association in the world based on total dues-paying members. Today, SEMA offers an impressive array of educational, marketing, legislative and other business-related programs, all of which are in keeping with the association’s mission to help its members’ businesses succeed and prosper. Chuck succeeded in strengthening the association's position as a major force in world trade, thereby providing SEMA-member companies with expanded trade opportunities through participation in foreign trade missions and expositions. SEMA maintains strategic relations with numerous foreign trade associations, and has overseas staff stationed in China. 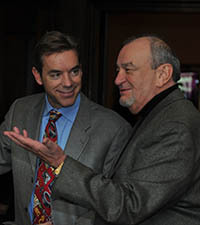 In his role as president, Chuck also spearheaded the dynamic growth of the SEMA Show held annually in Las Vegas. From a small niche-market show, the SEMA Show has grown into an internationally recognized trade exposition with more than 2,200 companies occupying in excess of a million net square feet. 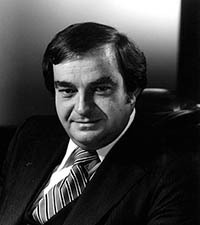 Chuck was a driving force in creating Automotive Aftermarket Industry Week (AAIW). The resulting consolidation of aftermarket trade shows—which includes the concurrent SEMA Show and the AAPEX Show—has become one of the most important trade expositions on the international calendar of automotive events. 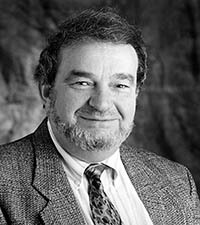 In 1990, Chuck was recognized by his peer group and given the designation of CAE, Certified Association Executive. This highly coveted recognition is sought after by all professionals engaged in association management. 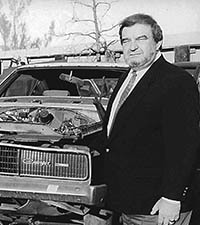 In 1998, in recognition of his lifelong contributions to SEMA and the specialty automotive industry, Chuck was inducted into the prestigious SEMA Hall of Fame. 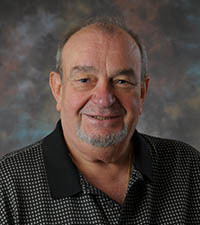 Chuck, now president emeritus, retired from SEMA in July 2002. He remains active in the industry as a consultant. A long-time resident of southern California, Chuck has two children and four grandchildren.